Tell me if the following events sound familiar. Picture a match where your early game goes pretty normal with all the lanes being relatively even. Once the mid game arrives, you end up getting into a messy teamfight with an unfavorable outcome and someone exclaims, “What are you doing? Focus the [insert carry champ’s name]!”. The next fight comes and your team does all it can to kill the enemy carry. However, while you all were trying to get around the enemy team’s crowd control, your ADC was getting bursted down by a flanking assassin. A few team members get within striking distance of their carry but they simply aren’t able to do enough damage to leave a mark. Your team ends up with few survivors who got away but despite your unified vision for what to do, you were collectively obliterated. So what went wrong? Well, the enemy team knew how to peel effectively while yours did not. Peeling is when you do everything you can to protect your vulnerable allied carries. Instead of focusing on killing one person, you try to maximize and extend the lives of your team’s main damage dealers by keeping them away from danger, taking hits for them, and of course, being a threat yourself. This is usually the best approach in most team compositions – in a traditional teamfight you’ll want some form of engage, a form of damage, and a form of peel. It’s sort of like capture the flag (the flag being the ADC) where you’ll ideally have some people who go after the flag, others that protect and defend theirs, and some that try to do a little of both. Another way you can think of peeling is in terms of protecting your gold investment. Your ADC spends most of their time farming gold, so why wouldn’t you do everything you could to protect and make sure it pays off. It doesn’t matter what role you play, you need to know how to peel and how to play around being peeled for. In this article, we’ll be teaching you about how to peel, the different types of peel, and of course, how you can improve. There are many nuances to peeling, the fundamental methods come down to using crowd control and positioning properly. This is the easiest form of peel to understand because it’s the most immediate and impactful. Whether you’re slowing, stunning, or knocking away your enemies, using CC to peel basically comes down to physically keeping your enemies away from your team’s VIPs – after all, it’s hard for an assassin to chase down a juicy target when they themselves cannot move or use abilities. In Stonewall008’s video below, he explains that the abilities you can use to peel vary in terms of immediacy (how quickly you can use them), frequency (how often you can use them), and intensity (how strong the ability is). It’s a great reference for how to understand which crowd control abilities are better used for engaging and which are better used for peeling. Be sure to understand this balance and know when you should be doing one or the other. For example, Leona and Thresh are both tanky Supports that have abilities that allow them to either engage or peel. However, if we were to put them on a spectrum, Leona’s kit would make her a much better engager while Thresh makes for a better peeler. Leona’s Zenith Blade and Solar Flare give her the ability to easily disrupt and reach a team’s backline from a distance. Sure, she can stay by her squishies and save her crowd control abilities to peel but it takes away the strengths of her ranged capabilities. Thresh has options to engage with his hook or a Flay to keep a target within striking range, however, his Dark Passage lantern and his ultimate, The Box, are some of the best defensive abilities in the game. It can feel nearly impossible to kill a target that’s protected by a Thresh that knows what they’re doing. The point here is to be aware of your crowd control options and what they can do, but most importantly, do your best to understand the context of when and where they’d be most effectively used. The next method of peeling is how you place and position yourself in relation to who you’re trying to protect and the threats that are going after them. In general of course, the less distance between you and your VIPs, the easier it is to defend them in a teamfight. However, you should be adjusting your positioning according to the specific types of threats and compositions you’re up against. Let’s take a look at a few examples. When you’re playing against an AoE comp, the key to positioning yourself is to avoid getting caught by the same crowd control as your VIP. AoE engages often have very long cooldowns so if they only land on one target, they don’t yield as much value as they should. If the Malphite lands his ult on the Ashe but misses Braum, Braum can lock down the Malphite long enough with CC for the Ashe to get away. Likewise, if the Malphite misses the Ashe and can only hit Braum, the Ashe may be able to do enough damage to either kill or force the Malphite to retreat. In the image above, let’s say that the Braum sees the Kassadin and knows Evelynn is nearby but cannot see her. The best Braum can do here is deal with the most immediate danger and be ready to react when others come from other angles. Since assassins and skirmishes both rely on isolation and thriving in chaos, being as close to Ashe as possible will give Braum the most amount of time to react from whichever side the enemies attempt to kill her. When you play against champions that rely on skill shots to poke and siege, they often won’t have as many crowd control options. The best way to peel for your VIP here is to stay in front of them and make it hard for the enemy team to land their shots on their prime target. In the image above, Braum places himself where he can take the bullet for Ashe. Now, this may not be sustainable depending on how tanky the peeler is and how much sustain resources the poke team has, but it will allow your VIP to stay safe while your team finds a way to take a favorable engage. Outside of crowd control and positioning, you can also peel by mitigating damage through heals/shields, providing movement speed to help your VIPs avoid danger, and by being a damage threat yourself. Locket of the Iron Solari – instant shield for protecting your nearby VIPs from burst damage. Knight’s Vow – Mitigates damage for a targeted ally and grants movement speed when you move toward them. Twin Shadows – Provides two ranged slows and helps track down flankers. Redemption- AoE heal that can also be used as a zoning tool. Zeke’s Convergence – Creates an AoE slow and helps your VIP burn down their foes. Mikael’s Crucible – Allows you to cleanse most crowd control effects on a target ally. Guardian – shields a guarded ally. Font of Life – heals ally who attack a target you CC’d. Revitalize – Enhances your heals and shields. Unsealed Spellbook – Allows you to switch to Exhaust, Heal, or even Cleanse to body-block crowd control. Approach Velocity – Helps you reach your allies that are in trouble or stay on top of enemies that are chasing them. Summon Aery – Improves your shields, buffs, and heals. Now that you have a good grasp on the different ways to peel, let’s break down the steps you should be taking mentally when a fight is about to begin. These tips were provided with the help of our Mobalytics analyst, Prohibit. This first step is crucial because you NEED to make the right decisions and see the full picture. If you panic, you’ll likely tunnel-vision, misclick your abilities, or simply just make the wrong decisions. Before entering your match, you already know that fighting will be inevitable. Mentally prepare yourself that the opposing players will be do everything from roaming, ganking, and setting up traps to kill you and your teammates (but hey, your team will be looking to do the same to them). As the game goes on, watch the map and constantly absorb information. The more you see and know, the more prepared you’ll be when things get bloody. By the end of pick and bans, you should have a good idea who your carries are. If you don’t you probably shouldn’t be playing ranked just yet. In general, these are usually your Mid laners and ADCs, but they can sometimes be your Top laners or Jungler if they choose champions like Fiora or Kindred respectively. Mids will also sometimes play assassins who usually work alone, so you may not have to worry about peeling for them. Once the match begins, understand the context of how the match is progressing. Which of your carries is doing well? You’ll probably want to put more eggs into their peeling basket since they’ve been the more trustworthy of your team’s gold investment. Make sure they’re never alone or too far from help when they farm and fight. We touched upon this a bit earlier in the above Positioning section – you’ll want to change your approach based on the nature of the enemy team’s key threats and strategies. Similar to how you want to understand who your most important team members are, you need to understand who the big baddies are. When possible, save your strongest crowd control for the biggest threat. If they’re an assassin, be ready for them to pop out from the shadows. If they’re a long-range mage or ADC, be ready to block some skillshots. You’ll have to hope your engagers and flankers do their job while you do yours. Now that we’ve covered the different tools and mentalities regarding peeling, let’s watch and learn from the pros. The following examples will be from the same game, Team Liquid vs Flash Wolves from MSI 2018’s Day 5. As you watch, take note of what we’ve discussed in the article thus far. In the clip, Flash Wolves slowly push towards the Baron pit to contest Team Liquid. The key thing to note is that TL has 5 players alive while FW has only 4. 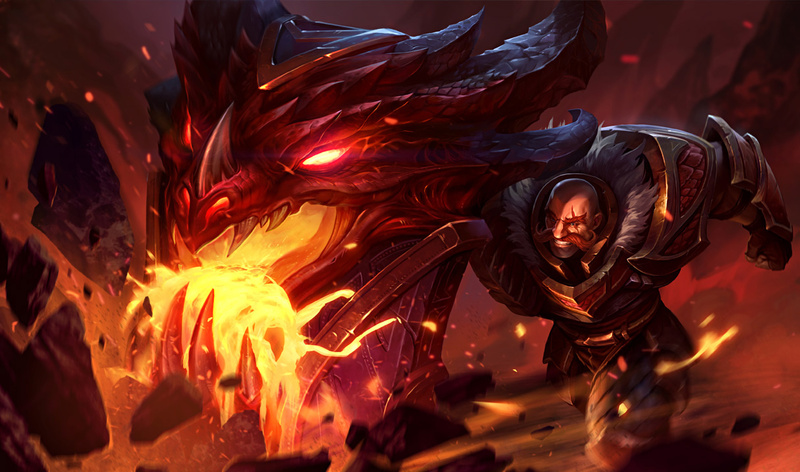 FW establish a beefy frontline with Cho’gath and Swain and have their VIP, Kog’Maw, accompanied by his Support Karma. Despite not having the engage ultimates of their Gragas, Ornn, or Malzahar, TL decides to look for a fight instead of finishing the objective. Flash Wolves’ Cho’gath, Swain, and Karma hold the line and peel long enough for their Kog to burn down TL. They take 3 kills with 0 deaths and eventually take Baron. Later in the match, TL and FW have a 5v5 stand-off at mid lane. The game is quite close in terms of gold with only a 1.4k difference at almost 36 minutes. TL’s Ornn ults towards Kog’Maw and the rest of FW position horrendously and split on the opposite side, leaving their VIP alone and vulnerable. Kog is instantly obliterated and a 5v5 turns into a sound defeat within seconds. TL jump ahead and snowball their lead to take the match. The difference between the two above clips cannot be understated. Even just one fight where your team forgets to peel or poorly peels can be catastrophic. Never lose sight of your VIP and just do your best with the tools you have to protect them. Even in the face of unfavorable odds, you can pull out a win! Thanks for reading! We hope you found this article helpful in understanding how to peel (by the way, you’re welcome ADCs, you better thank your protectors). As always you can find us in our Discord if you have any questions, and feel free to leave us a comment below. As usual, great content Agilio! Thanks for the concepts and tips. Thanks Theo! Glad you found it helpful.